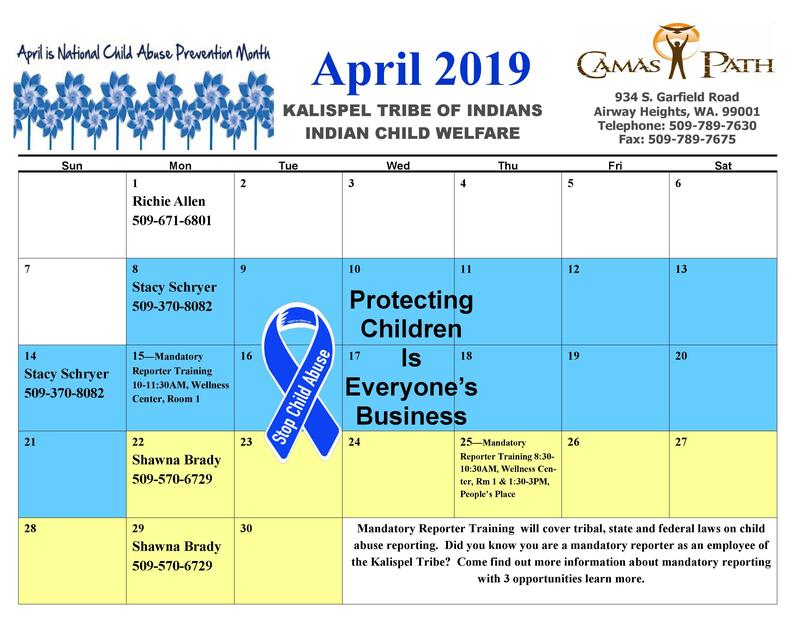 The Kalispel Tribe Indian Child Welfare (ICW) program operates under the umbrella of the Camas Path Social Services department. The Indian Child Welfare Program (ICW) strives to ensure that Kalispel children are protected, free of child abuse and neglect as well as preserve their cultural and traditional ways and ties to the Kalispel Indian community. The overall goals for the ICW program is to serve in the best interests of the Indian child(ren), prevent child abuse and neglect, prevent families from entering the ICW system and/or re-entering the system by providing an array of services; however, our ultimate our goal is family reunification. ICW is under the direct supervision of the Social Services Director.